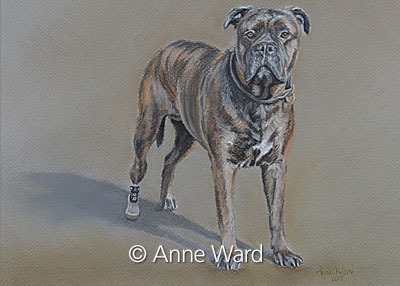 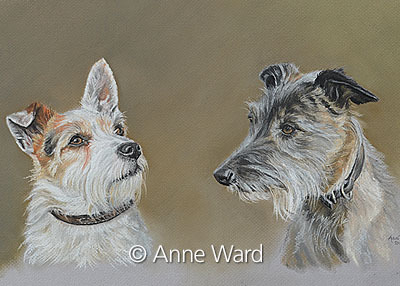 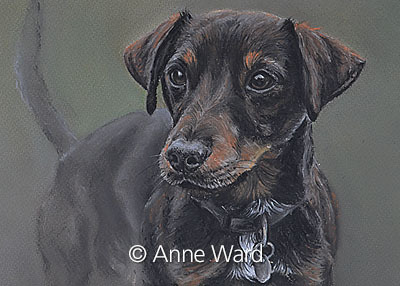 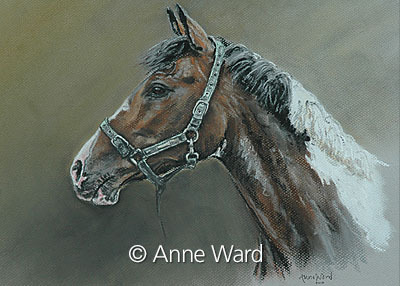 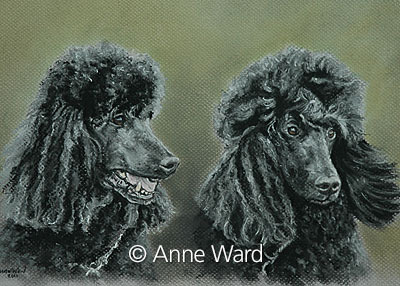 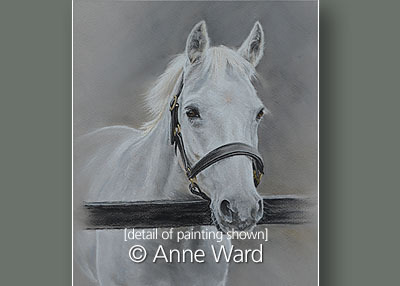 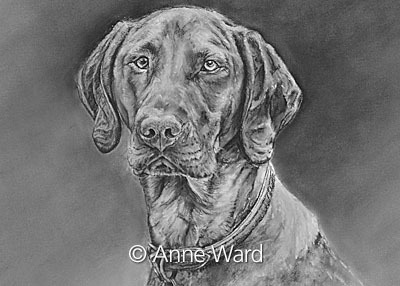 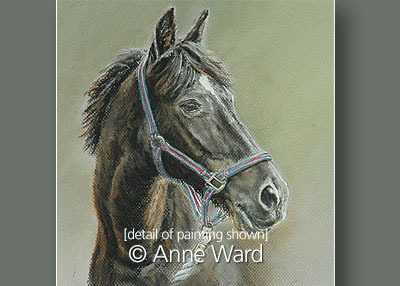 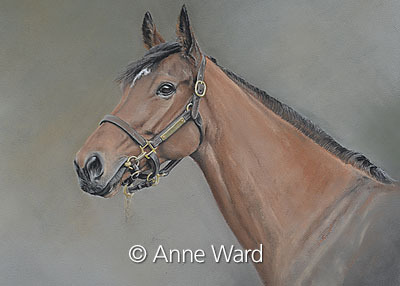 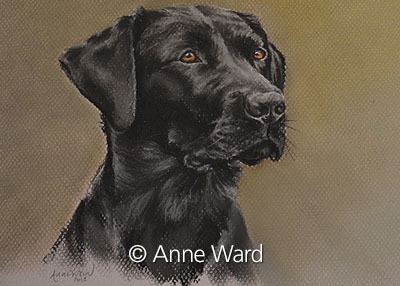 A portrait of a much-loved horse or dog can be a gift to treasure. 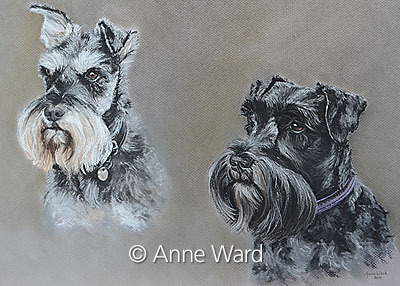 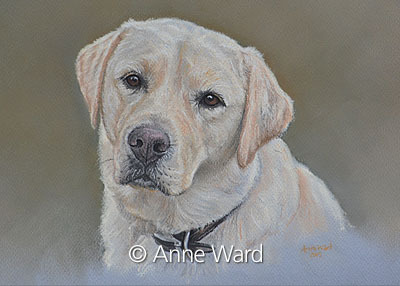 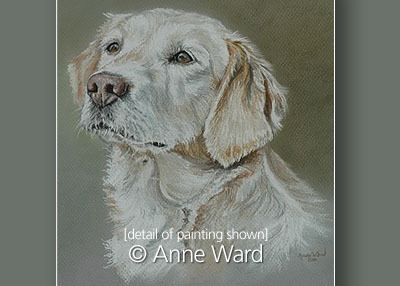 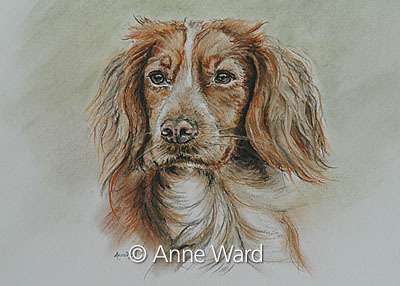 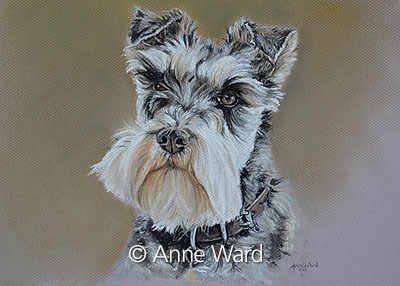 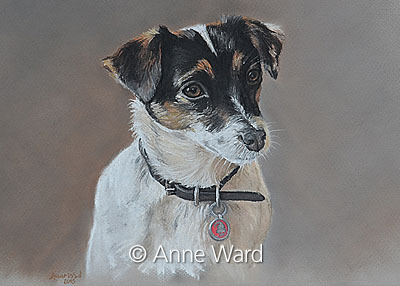 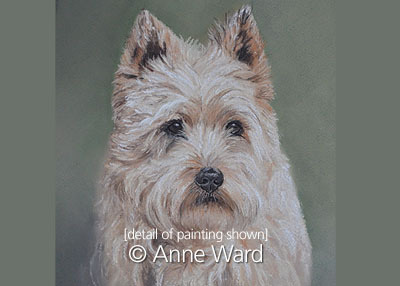 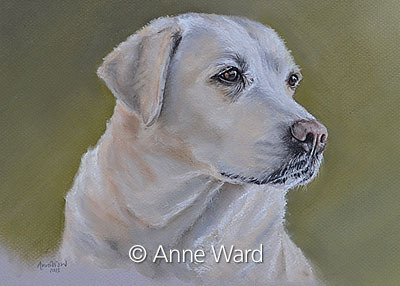 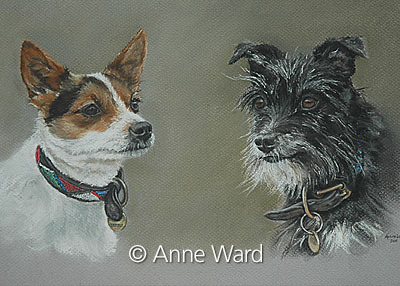 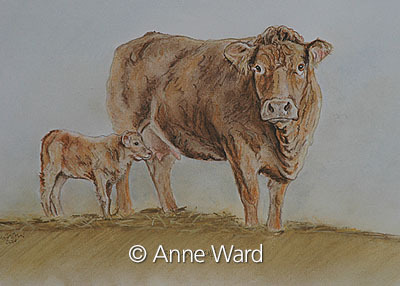 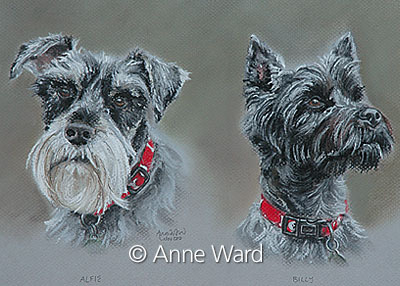 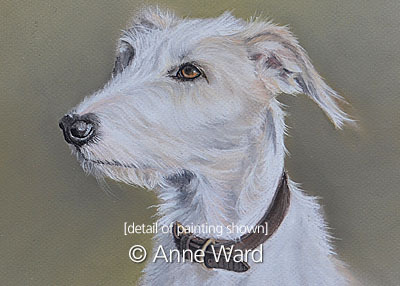 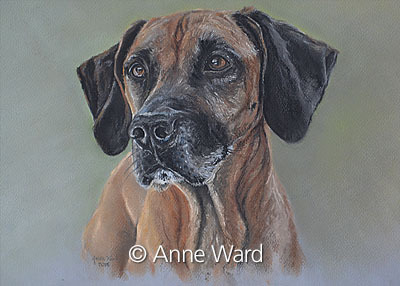 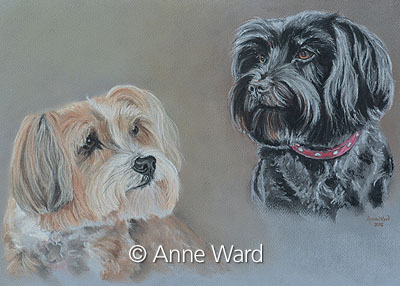 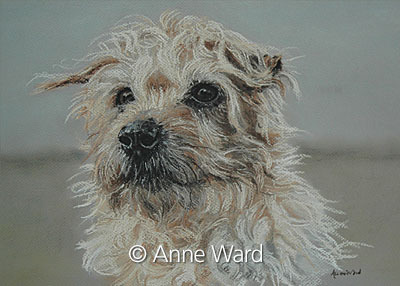 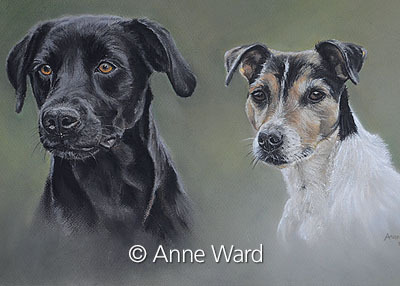 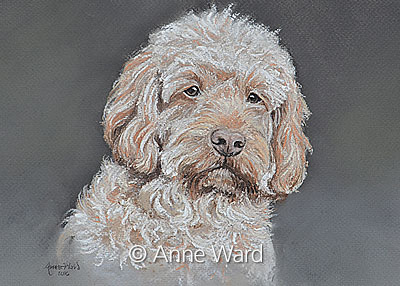 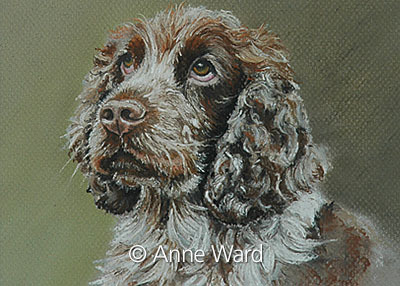 Anne works mostly in the medium of pastel, although some pieces include a mixture of pastel and charcoal. 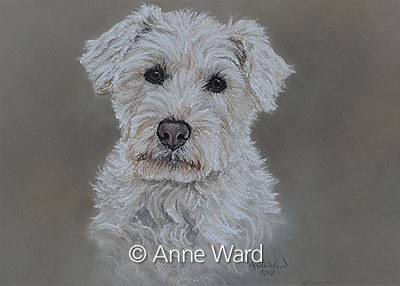 Because of the nature of these media, most portraits are supplied mounted, under protective glass and framed according to your preference. 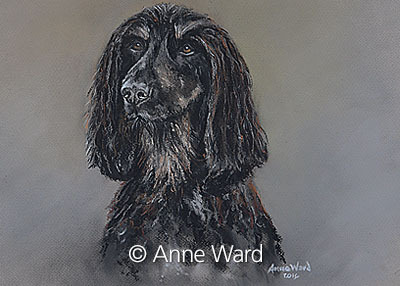 Anne much prefers to meet the subject of the portrait, get an impression of his or her personality, and take some photographs as resources for the painting. 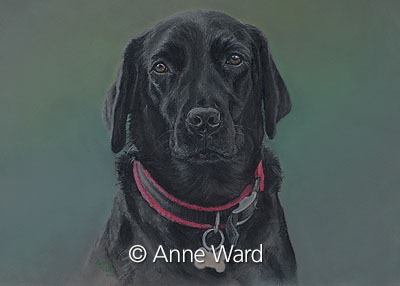 However, if this is not possible, she can work very successfully from existing good quality photographs taken at suitable angles and supplied by the client. 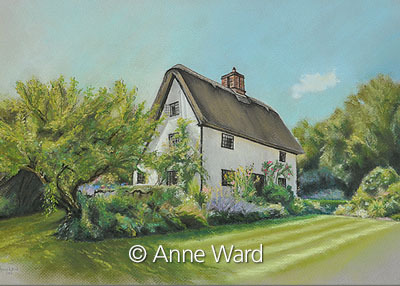 Please contact Anne for more information or to discuss your ideas for a painting. 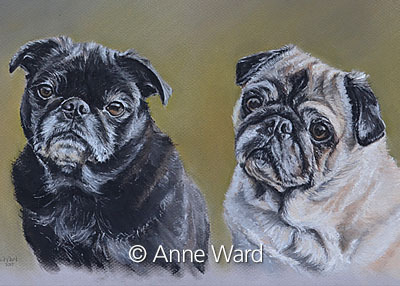 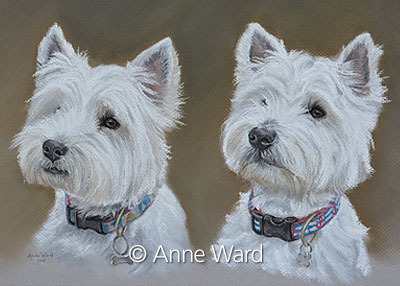 Anne’s clients have very kindly taken the time to pass on their thoughts and the reactions of friends and family upon receipt of their commissioned paintings. 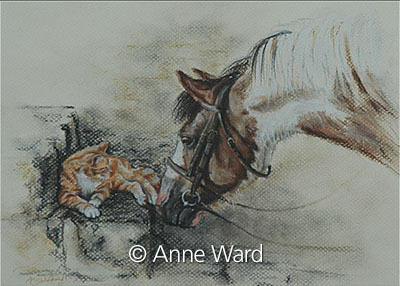 All these comments are very much appreciated. 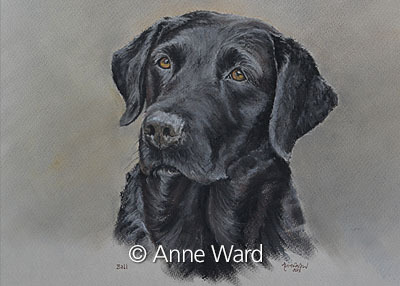 “I was so touched that my husband wanted to give me such a wonderful gift for our 25th wedding anniversary, but the finished result surpassed all expectations. 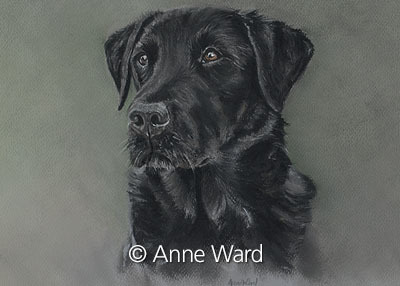 I was concerned that no artist would be able to see what I see in him, but you captured exactly not just his likeness but his spirit and character. 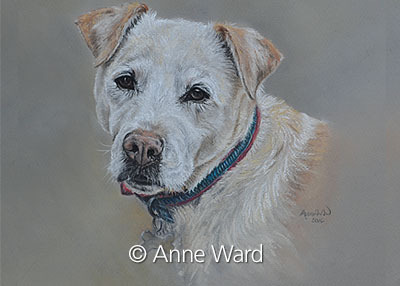 Paddy means the world to me — I have been so lucky to have him, so to have him immortalised so beautifully by you is the perfect tribute to a perfect friend. 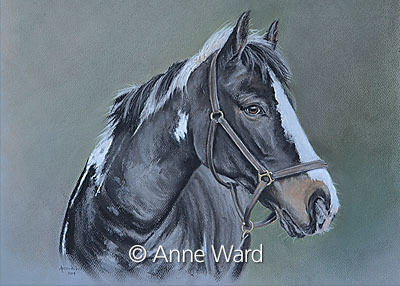 At 24 years old he cannot be with me forever, and I know this portrait is going to come to be even more precious one day.